CND and the Beauty Changes Lives Foundation have announced 11 nail professionals as winners of the scholarship. 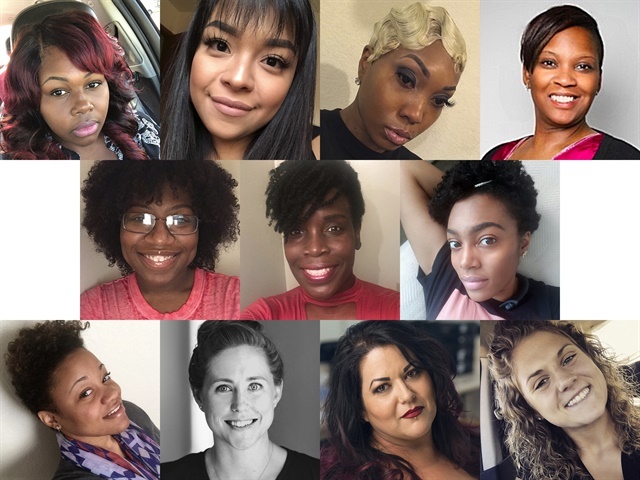 CND and the Beauty Change Lives Foundation have announced 11 nail professionals as winners of the 2018 BCL|CND Master Scholarship. Building on the success of the BCL|CND Tippi Hedren scholarship for aspiring nail professionals, CND established the advanced Master Scholarship in 2017. By exposing the success of licensed nail professionals and equipping them to take their career to a new level, the scholarship aims to raise awareness of the professional possibilities available in the professional nail sector. Quatisha Allen, IG @yesme_tish, Zen Nail spa, West Palm Beach, Fla.
Camille Cade, IG @chanailed San Francisco Institute of Esthetics and Cosmetology, Hayward, Calif.
Cerissa Jordan, IG @orlandonailtech, self-employed, Orlando, Fla.
Shamica King, Girlfriends Nail Shoppe, Louisville, Ky.
LiTunjia Olubusi, IG @Thepronatural, The Ten Nail Bar, Detroit, Mich.
Alicia Thompson, IG @atna1ls, A2 Nails, Memphis, Tenn.
Tiffany Whorton, IG @tiffanyhead2toe, Bellus Academy/Paradise Point Resort and Spa, El Cajon, Calif.
Lindsey Zeuhlke, IG @lzuehlke, N’Dulge Salon and Spa, Kewaskum, Wis. Scholarship applicants submitted videos or inspiration boards describing how a career as a nail professional changed their lives and/or the lives of others. Quatisha Allen is a two-time Beauty Changes Lives scholarship winner. In 2014, she was awarded the CND Tippi Hedren scholarship and embarked on her career. In her 2018 application video, Quatisha says, “A nail license was only the beginning. There was so much more to learn including how to market my business, how to build a clientele and how to give back.” A nail professional and philanthropist, Quatisha recently founded Confetti Playhouse, a creative, magical, and age-appropriate pop-up experience that provides nail art at children’s hospitals, community centers, and libraries. All of the 2018 winners’ videos and inspiration boards are available here. The 2019 CND Master Scholarship will accept applications between March 1 and April 8, 2019.